Tag Archive | "west ham united news"
With Manuel Pellegrini whisking his Hammers away to a training camp in Kitzbuhel this week, Marko Arnautovic, Michail Antonio and Adrian jumped at the chance to attend the Austrian Open. West Ham have made tying Domingos Quina to a new long-term contract a priority following the midfielder’s sterling displays at the European Under-19 Championships. Approaching the business end of the transfer window, managers across Europe are stepping up their interest with Premier League sides less than two weeks away from closing up. LAURIE WHITWELL AT BANKS’S STADIUM: What began with a resounding vote of confidence from the new sheriffs in town ended with Aston Villa beaten by West Ham’s sharp shooting. Clubs across Europe are pushing through transfer moves to prepare their squads ahead of the new campaign. Follow all the latest news throughout Tuesday with Sportsmail’s Dan Ripley. It’s Hot or Not time again as Sportsmail’s IAN LADYMAN reveals what’s been making him feel warm and what’s been leaving him cold this week. Stay right here with Sportsmail’s live blog for all the latest action in the transfer market from across the Premier League and around Europe. The summer window is set to slam shut on August 9. There is still much business to be done and not much time to do it in with the transfer window set to slam shut on August 9. Stay right here with Sportsmail’s MICHAEL SEARLES for the latest. The World Cup proved to be no distraction for Premier League sides and the rest of Europe when it came to planning squads for next season on Thursday. Relive the news throughout the day here. The Premier League have revealed the fixtures for the 2018-19 season and defending champions City will travel to the Emirates Stadium to face Arsenal in the opening match of the campaign. The Premier League fixtures for 2018-19 have been released ahead of the new campaign. Find out who your team will be taking on and when all of the key dates are. Premier League fans up and down the country are taking a break from World Cup fever to scour the 2018-19 fixture lists. Fulham have made an £8million offer for Swansea City forward Jordan Ayew. The Swans were relegated from the Premier League last season, and look set to part with their assets. Austria international Marko Arnautovic has been heavily linked with a move to Old Trafford after enjoying a brilliant season for West Ham in the Premier League. The West Ham United forward ruptured his cruciate knee ligament in training on Friday, Argentina confirmed on their official Twitter page. Lanzini will now miss the 2018 World Cup. Marko Arnautovic has admitted links with Manchester United are ‘nice to hear’ but insists there has been no contact as of yet. Mourinho is reportedly interested in signing the forward. 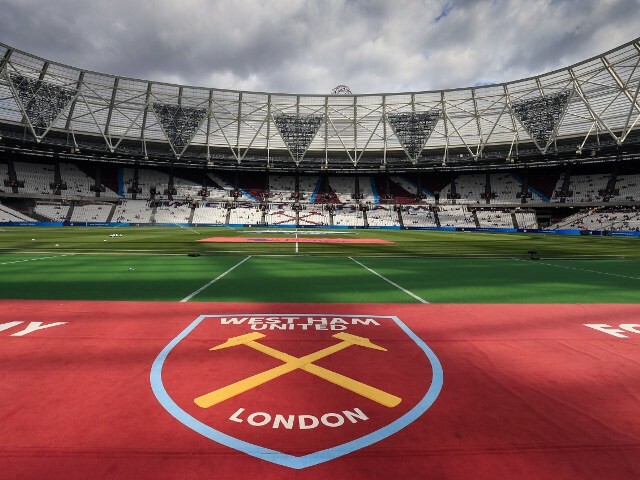 Jose Mourinho’s side hold an interest in the Austrian international, who would cost over £30million following a fine season at the London Stadium despite West Ham’s tough campaign. Keep track of all the major transfers involving senior players in the Premier League , as Sportsmail brings you all the summer deals right the way through to transfer deadline day. Follow all the summer transfer window action with Sportsmail’s JAIME WRIGHT as we guide you through all the goings on live as Liverpool ramp up their pursuit of Roma goalkeeper Alisson. West Ham have expressed interest in signing Marlon Santos from Barcelona. The 22-year-old Brazilian had impressed on loan at Nice last season and has drawn enquiries from Leicester City. The Arsenal centre back has missed out on selection after an inconsistent season at club level but returned to his homeland to pose with a series of flashy cars and relax with his family. West Ham will hold talks with Manuel Pellegrini over the next 48 hours as they look to appoint the Chilean as their next manager. The 64-year-old former Manchester City coach is due in London on Sunday.